I've arrived at book five in the Montalbano series, and I just can't seem to get enough of these novels. Truth be told, they're highly addicting. 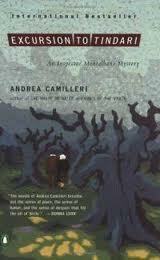 Excursion to Tindari is a puzzler that will intrigue both fans of Camilleri and mystery readers in general. A phone call lands Montalbano in the middle of the case of the dead man at Via Cavour 44. Just one bullet in the middle of the forehead killed young Emanuele 'Nenè' Sanfilippo, and since the captain of the Flying Squad and his second in command were laid up (one with dysentery after a visit to Beirut and the other in the hospital in New York after a mugging), Montalbano is told that the case is his. While he's just getting started on that case, a man shows up at the Vigàta station to ask for help with his missing parents, Mr. and Mrs. Griffo, and permission to break down the door of their apartment. Montalbano puts Gallo on the case until he finds out that the missing parents lived in the same apartment building as the dead Sanfilippo, then decides to handle it himself. After a spot on the television news regarding their disappearance brings forth several witnesses, the police discover that the Griffos were last seen on a bus tour to the Sanctuary of the Madonna of Tindari. After that, they might has well have dropped off the face of the Earth. Salvo just knows intuitively that the two cases must be connected -- but how? As he's delving into both investigations, he receives a call that he can't refuse: Don Balduccio Sinagra, the head of one of the two major crime families, wants him to stop by for a visit. And, on the personal front, Mimi Augello has just informed Montalbano that he's met a woman and is planning on marrying her, and Montalbano realizes he may be losing a good officer and a good friend. Mimi also informs him that the Commissioner, Bonetti-Alderighi, is happy about Mimi's plans, saying that it was "high time that the band of Mafiosi at Vigàta Police...started to break up." And of course, let's not forget Livia, who is still depressed over events from book four, Voice of the Violin. But his keen detective work, some subterfuge, and the amazing, mouth-watering Italian dishes he loves help to see him through once more. One of the funniest scenes in this series thus far is in this book -- in which Montalbano is at 'Nenè' Sanfilippo's apartment late one night reviewing some of the dead man's videocassettes. Camilleri's great sense of humor and timing are delightfully captured in English by Sartarelli the translator. The author also manages to drive home the point that although the Mafia's presence is everywhere, the game is changing and there's a new challenge to the police and indeed to the old ways -- the younger generation of Mafioso have become ruthless, unwilling to sit down and come to some agreement, preferring to solve their issues with knee-jerk violence. The core mysteries are enticing and well plotted, with very plausible and ingenious solutions. Camilleri also continues his well-defined sense of place that runs through the prior installments of this series, augmented by the richness of personalities and food found in the area. Now with books 6-12 stacked here ready to go and book 13 preordered from Amazon, it's obvious to me that I've become hooked on this series. 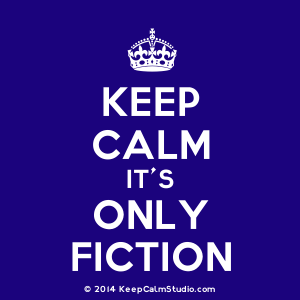 This is not surprising, because they are intelligent and very well-written novels, and with each book the characters become more real. I suggest that anyone considering this series start at the beginning -- your reading experience will be greatly enhanced as you follow Montalbano and his team at the Vigàta station in the order the books were written. I agree they are addictive aren't they? I thought the denouement a bit far fetched in this one, but who cares, they are marvellous books and so well translated. It was a bit off, wasn't it? And I had to actually read the summing up twice to make sure I got it. But you're right -- it's like the Harry Hole series -- you get so sucked into them that you can forgive their faults! They are addictive and just lots of fun. One can sit down and open up a Camilleri book and not be able to put the book down, while chuckling or outright laughing. The books are just a pleasure, pure entertainment -- with a bit of social message in the pages -- and just perfect when one wants to take a reading vacation with diversion and not a care in the world -- while reading.